U.S. Postal Service will not deliver mail at collection boxes that are blocked by a vehicle. Do not park in front of street mail boxes during collection hours. If you need help with Feeding your family; Becoming a volunteer; Getting taxes done; Avoiding eviction; Caring for an elderly person; Keeping you heat on; Joining a workforce; Finding a summer camp; Protecting a friend…..Call 211, a 24-hour professionally staffed hotline for help with human services. 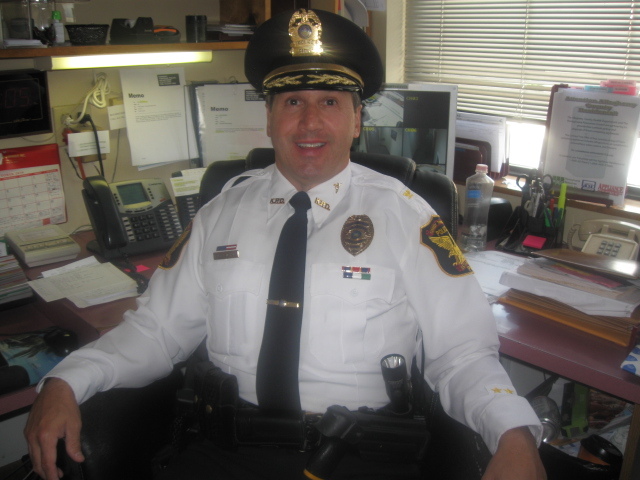 CRIME PREVENTION TIPS by Chief Bruni & Public Safety Commissioner Chris DiNardo. Anyone interested in becoming a Crime Watch Block Captain, contact Deputy Chief Robert Hull, 412-331-2408. PLEASE SUPPORT OUR POLICE DEPARTMENT BY REPORTING ANY SUSPICIOUS BEHAVIOR IN YOUR NEIGHBORHOOD. REPORT THE INFORMATION BY DIALING 911. YOU MAY ELECT TO REMAIN ANONYMOUS. BLOCK CAPTAINS FOR CRIME WATCH: Kennedy Township is a Crime Watch community but unfortunately a street cannot participate unless the street has a Block Captain. If you are interested in becoming a Block Captain, please contact Knnedy Township Police Department at 412-331-2408 and volunteer. A Block Captain is to notify residents on their street if a crime has occured. The Block Captain will be notfied by our police department concerning the crime. You can set up a telephone chain whereas you call 3 residents and residents in turn call 3 residents, etc. It does not involve alot of time. The more eyes and ears in the township the better. In this day and age our police officers can use all the help they can get. 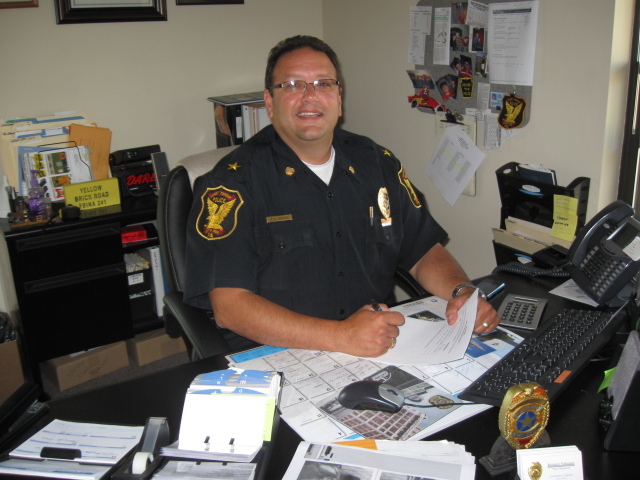 Kennedy Township Police Department is comprised of the Chief of Police, Deputy Chief and nine full-time officers & part-time officers as required, two full time police dispatchers and two part-time dispatchers. We are dedicated to ensure the very best law enforcement services. Our officers take pride in giving the community professional service at all times. For disposal of prescription drugs, contact the Allegheny County Sheriff’s office, 412-473-4700. Message from the Chief of Police Police Chief: Anthony Bruni – 28 years of service Deputy Chief: Robert Hull – 26 years of service Officer: Aaron Dhanse – 16 years of service Officer: Thomas Ficarri – 16 years of service Officer: Michael Conlon-23 years of service Crime Prevention Officer Officer: David Gasparovich-7 years service Officer: Daniel Kidder – hired 12-12-15 Officer: John Koritski – hired 01-10-2017 Officer: Giancarlo Desimone – hired 08-19-2017 Officer: John Bigger 10-01-2017 Officer: Sydney Stangl 08-18-18 and Part-time Officers: Nicolas DeMichele hired Dec. 12, 2017, Eric Cersosimo 11-20-18 and Chris Weber 11-20-18. Kennedy Township Police Department emergency calls are handled by Allegheny County 9-1-1, who immediately forwards your information to the Kennedy Police Dispatcher & officers. WE WANT TO RE-ESTABLISH OUR EMERGENCY CONTACT LIST FOR SPECIAL NEEDS’ PERSONS. PLEASE PROVIDE INFORMATION FOR EXAMPLE, ELDERLY PERSON(S) IN NEED DURING SEVERE WEATHER CONDITIONS. For non-emergency information, call 412-331-2408. Kennedy Township Volunteer Fire Department is comprised of thirty plus firemen who unselfishly volunteer their time and energy to keep Kennedy Township safe. The Fire Chief is Matt Marko; Assistant Chief is George Plutto. Your participation in the VFD’s fund raising events is very much appreciated. PREMISE ALERT REGISTRATION FORMS: Kennedy Township Police Department in conjunction with Allegheny County District Attorney’s office, has available Premise Alert Registration Forms. Persons can register their children, parents or siblings with special needs for whom they are acting as caregivers. The forms are completed by the caregivers and given to their respective police department to be faxed to the 911 dispatch center. Information provided by the caregiver will appear before the dispatcher when an emergency call is made from the residence of the caregiver. The 911 dispatcher can then alert first responders as to any pertinent information concerning a special needs resident [whether the person is nonverbal, blind, deaf, where they tend to wander, etc.] Also in the packet given to residents are reflective stickers indicating the presence of a special needs person. These stickers can be placed on or near the front door of homes. The District Attorney’s office also has inexpensive locking devices and alarms, service dogs for autistic persons, as well as Project Lifesaver tracking devices. The more information on a special needs person we have, the better we are to serve and assist. For further information, contact Kennedy Township Police Department at 412-331-2408.
notice-to-residents Basketball hoop restrictions on Township roads.